Acting Balanced: Review and #giveaway - Popchips!! 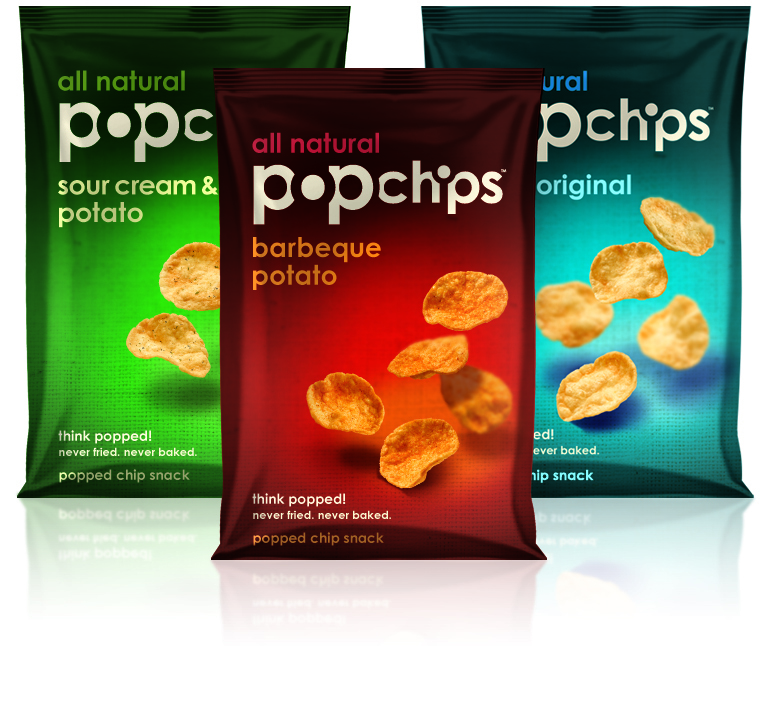 Review and #giveaway - Popchips!! I received a 'chipment' of with a plethora of yummy flavors of a new snack called Popchips the other day and wow... I want more! Popchips are a cool new snack chip that aren't fried and they aren't baked - they're POPPED! What I love is that they have no trans fats and less saturated fat than regular or even baked chips! With a texture that Robyn says reminds her of a really thin rice cake, but the taste of a chip, they are really quite addictive! I was sent a sample pack with six flavors - original, sour cream and onion, barbecue, sea salt and pepper, salt and vinegar and cheddar potato. My absolute favorite is Salt and Pepper, but I also love the bite that comes with the Salt and Vinegar... Robyn is partial to the Cheddar potato. Neither of us were over the moon about the original, until we remembered the onion dip in the fridge and then we totally saw the full potential! The only thing that I've found that disappointed me about Popchips is that there is nowhere in Charleston to buy them.. luckily I can order my fix online at www.popchips.com! The only thing that disappoints me is that Liam can't eat them... despite the fact that they are Gluten Free, the packaging states that they are made on equipment that also process wheat, and we can't take the chance... which is really sad for all those on a Gluten Free diet ... I really wish they'd use a dedicated process on dedicated machines... hopefully in the future! Healthier, delicious, all-natural. Actually, we are all that and a bag of chips. How do we do it? Well, first, let's talk about how we don't do it. We never fry our chips. That just puts a lot of stuff in there that we could all do without. We never bake our chips either. That just takes a lot of flavor out, which, as snackers, we simply can't do without. So we came up with a chip like no snack aisle has seen (or taste bud has tasted). That's because we found a way to pop all the flavor in while keeping fake stuff and more than half the fat of fried chips out. Thanks to the magic of popped. Popping is a way of making our all-natural chips. We start with wholesome potatoes, add a little heat and pressure, along with a little snack magic. And pop! It's a chip. With an artful blend of all-natural seasonings, we've created lots of taste bud-popping flavors. Pop open a bag of popchips™ and try for yourself. Everybody has a favorite. Everyone who likes popchips on facebook can download a $1.00 off coupon to use on their first bag and it's also the mandatory entry to win a MONTH's SUPPLY of popchips here on Acting Balanced!
" 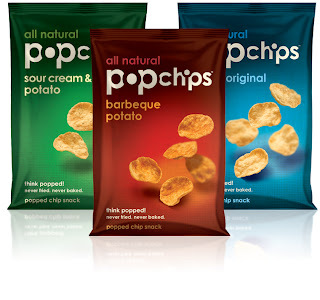 I want to #WIN a month supply of @popchips from @chascouponmom http://tinyurl.com/abpopchips #giveaway ends 12/21 "